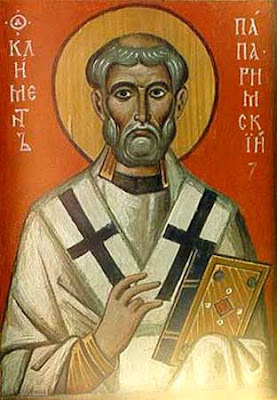 Saint Clement of Rome was among the first bishops of Rome founded by Saint Peter the Apostle in the first century, and is considered the first Apostolic Father of the Church. 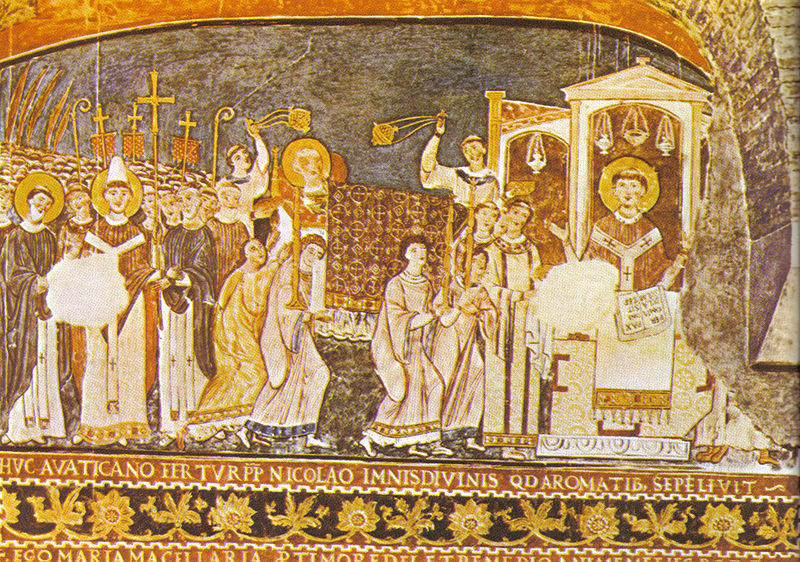 According to early Christian tradition, Clement was banished from Rome to the Chersonesus during the reign of the Emperor Trajan and was set to work in a stone quarry. Finding on his arrival that the prisoners were suffering from lack of water, he knelt down in prayer. Looking up, he saw a lamb on a hill, went to where the lamb had stood and struck the ground with his pickaxe, releasing a gushing stream of clear water. 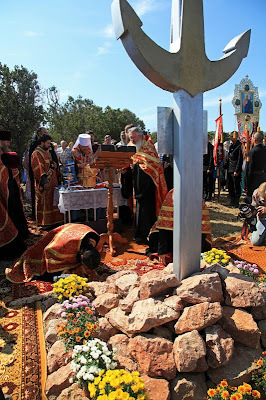 This miracle resulted in the conversion of large numbers of the local pagans and his fellow prisoners to Christianity. 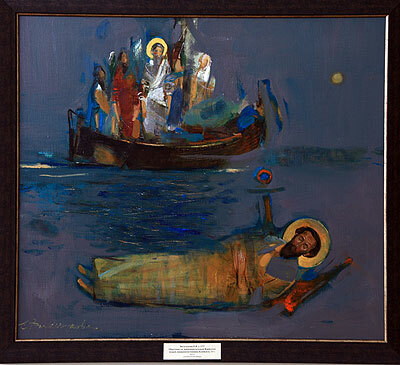 As punishment, Saint Clement was martyred by being tied to an anchor and thrown from a boat into the Black Sea. 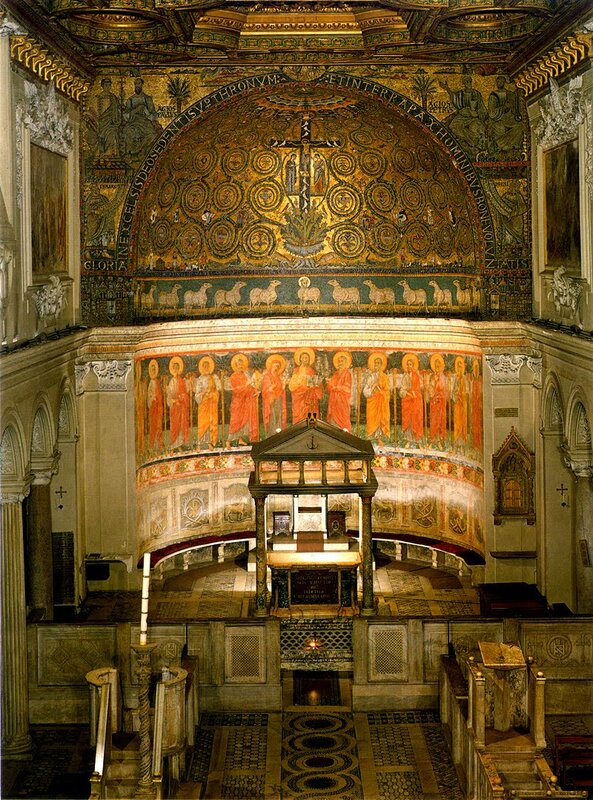 According to early accounts, the tide would recede every year by two miles, revealing a divinely built shrine which contained the martyr's bones. 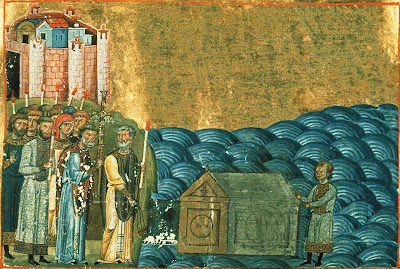 The Inkerman Cave Monastery marks the supposed place of Clement's burial in the Crimea. 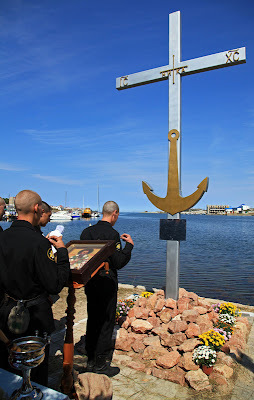 A year or two before his own death in 869, Saint Cyril brought to Rome what he believed to be the relics of Saint Clement, bones he found in the Crimea buried with an anchor on dry land. 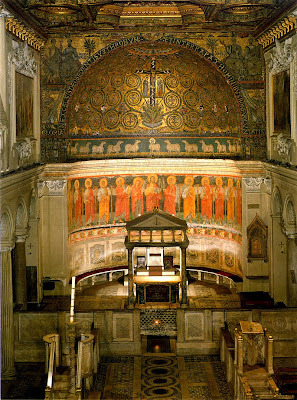 They were deposited by Adrian II with those of St. Ignatius of Antioch in the high altar of the Basilica di San Clemente. 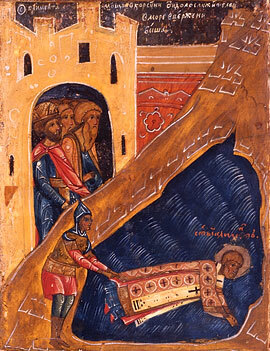 Other relics of Saint Clement, including his head, are claimed by the Kiev Monastery of the Caves in Ukraine. 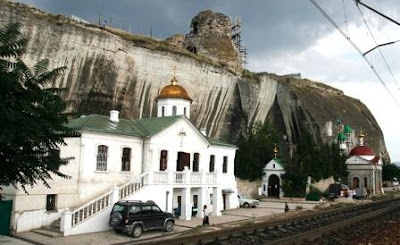 The Inkerman Monastery of St. Clement is a cave monastery in a cliff rising near the mouth of the Black River, in the city of Inkerman, administered as part of the sea port of Sevastopol. 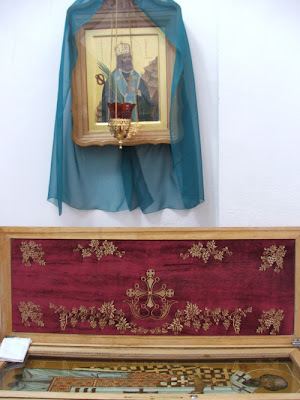 It was founded in 1850 on the site of a medieval Byzantine monastery where the relics of St. Clement were supposedly kept before their removal to San Clemente by Saints Cyril and Methodius. The early Christians are supposed to have kept the relics in a grotto which could be visited only on the anniversary of his death. William Rubruck described it as a church "built by the hands of angels". The Byzantine monastery, probably founded in the 8th century by Iconophiles fleeing persecution in their homeland, had eight chapels of several storeys and an inn accessed by a stairway. The caves of Inkerman were surveyed by Peter Simon Pallas in 1793 and looted by the British in the 1850s. 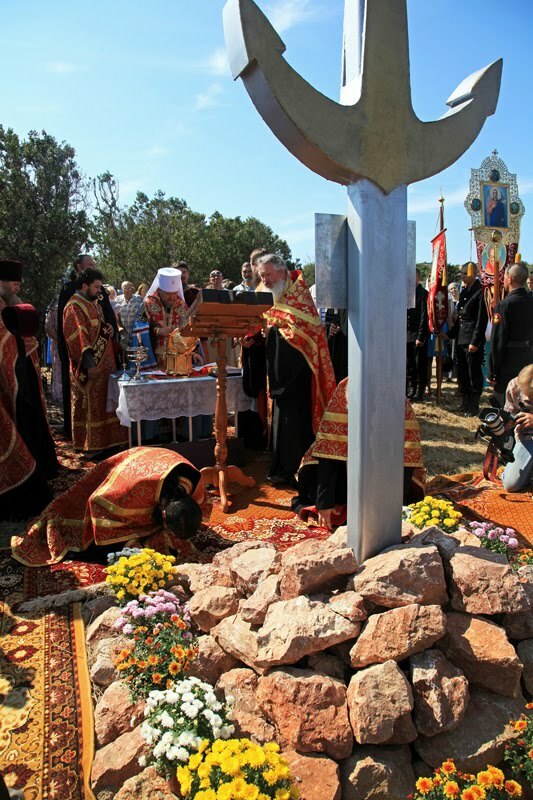 The Russians added two churches, commemorating the Borki Incident (1895) and the Crimean War (1905). The monastery was damaged by the Crimean Earthquake of 1927 and was closed between 1931 and 1991. During World War II the caves housed the officers of a Soviet army defending Sevastopol. Several churches were taken down by the Soviets. See more photos of the martyrdom spot of St. Clement from the feast on November 24th, here.